The U.S. and Cuban governments announced the resumption of commercial flights between the two countries in 2016, the first time non-charter flights have been allowed in more than 50 years. The agreement calls for up to 20 flights per day by U.S. airlines into Havana's Jose Marti International Airport (HAV) and up to 10 flights per day to Cuba's nine other international airports. Altogether, that means there could soon be up to 110 daily flights between Cuba and the U.S. Scheduled service is expected to commence as early as October 2016. 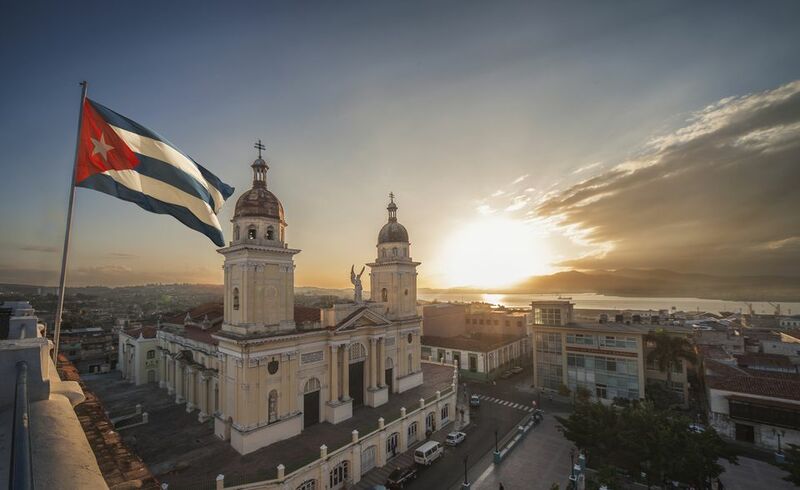 Cienfuegos: Jaime Gonzales Airport (CFG): this beautiful port city is known as the "Pearl of the South"
Manzanillo del Cuba: Sierra Maestra Airport (MZO): Gateway to Sierra Maestra National Park and Cuba's highest mountains. U.S. airlines are currently preparing bids for the right to fly to Cuba. American Airlines, which already operates charter flights to Cuba and has a strong presence in the Caribbean, is likely to be a strong contender out of its Miami hub: "We’re already the largest U.S. carrier to Cuba and we intend to remain the largest U.S. carrier in the future," American Airlines’ Howard Kass recently told the Miami Herald. JetBlue also operates charter flights to Cuba and is a major player in Caribbean air travel; the airline runs Cuba charters out of New York/JFK, Ft. Lauderdale and Tampa and offers service to Santa Clara as well as Havana. Southwest, which has made major inroads in the region in recent years, also is expected to bid for Cuba routes. Delta, which offered flights to Cuba before the Revolution and also has been active in Cuban charter flights, should be another prime candidate for new flights to the Caribbean island. Until commercial service is established, charter flights will remain travelers' only option for getting to Cuba by air; these largely originate in Miami, Ft. Lauderdale, and Tampa. Less likely is the prospect of Cuba's airlines beginning flights to the U.S. anytime soon, as they would have to overcome significant regulatory hurdles in order to do so. Does this announcement mean unfettered U.S. tourism to Cuba? Not quite. Restrictions still remain on U.S. citizens who travel to Cuba, who must fall into one of 12 categories of permitted travel. Travelers are more or less on the honor system to abide by these rules, but they do still carry the force of law.